If a tree falls in the forest, does it make a sound? Well, cleaning them up does! After last summer’s weather, our walking trail at Pagan Lake was disastrous. Tree trunks lay across the walkway; information signs were lost in the debris; in some spots, you couldn’t even see the path. 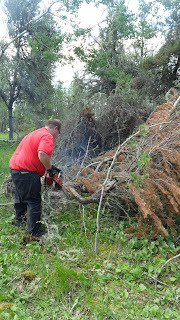 Armed with chainsaws, pruning shears, axes and a lot of determination, our volunteers worked hours to make the path accessible. Once again, kids of all ages can enjoy the trail to observe the beautiful wildlife and breathtaking nature. 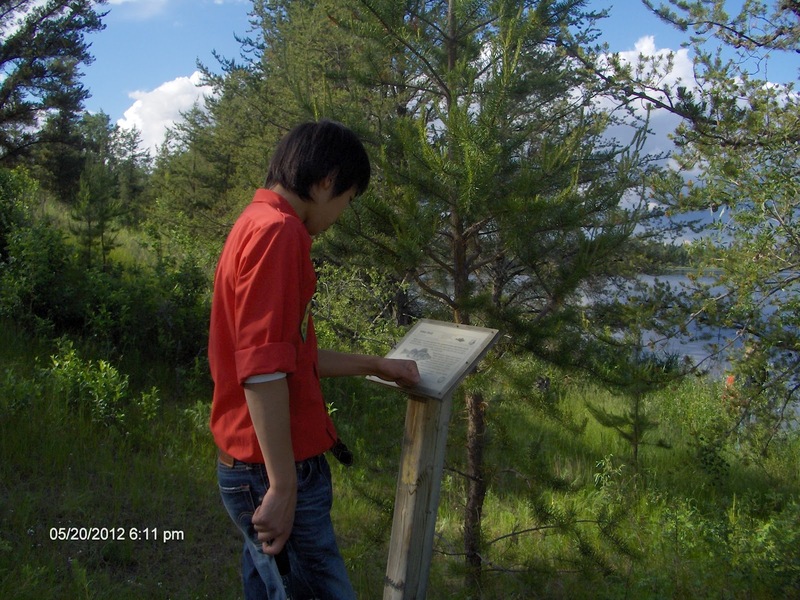 The interpretive trail was established in 2000 by the Meadow Lake Junior Forest Wardens (JFW) with assistance from the Meadow Lake Wildlife Federation. 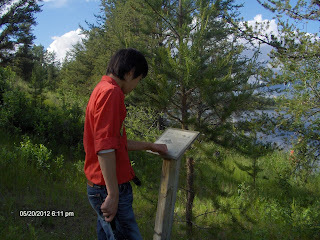 The signs give information on various animals, birds and plants common to the area. Every spring, the Meadow Lake Junior Forest Wardens clean up the Pagan Lake campground. Our club officially adopted the Pagan Lake Recreation Area in 1998, with an official agreement with Sask Parks. The site was to be closed due to constant vandalism. Our involvement (including large signs, annual events, and litter cleanup) has helped curb the problems, and the site has remained open for many to enjoy. This year we had approximately 40 helpers, over half under 16. Forestry and ecology are two of the pillars of our family outdoor club. 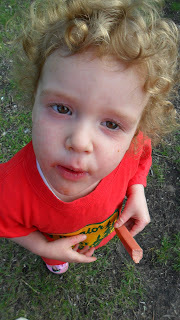 Activities in the outdoors which help the environment are one of the favorite pursuits of the kids! 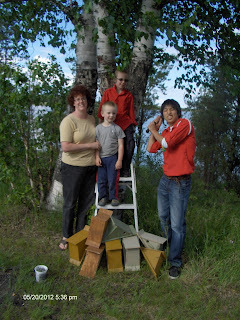 Over the years we have installed numerous nesting boxes (mainly duck boxes) around the lake – some supplied by Ducks Unlimited, some built by us. 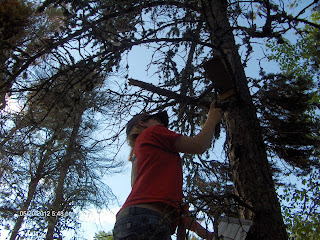 At this event, we added another 15 JFW-made bird houses to the habitat. 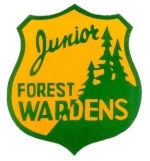 Junior Forest Wardens is an exciting and educational opportunity for young people and their families to have fun, develop skills, and get educated in the many and diverse aspects of our natural environment. Interested in starting you own local club? For more information about our club or one in your area, please visit jfwa.ca. 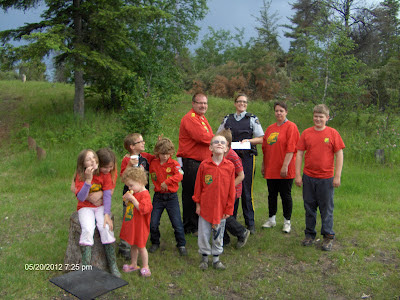 The Meadow Lake Junior Forest Wardens received an EcoFriendly Action Grant in May 2012. EcoFriendly Action Grants are provided on a monthly basis to support small, local environmental projects.